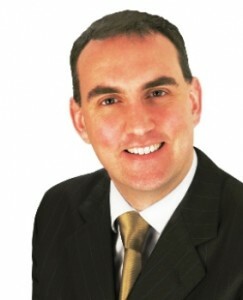 Sligo-Leitrim Senator Marc Mac Sharry has called on the Government to protect farm incomes in the upcoming Budget. The local Fianna Fáil candidate has pointed to a number of measures announced in France this week that would result in a significant boost to French farmers. Senator Mac Sharry said the approach is in marked contrast to the Irish Government’s lack of support for smaller farmers in the North West who are struggling to stay in business. “A number of innovative measures are being implemented by the French Government in its €1 billion financial plan to support the livestock industry in France. These immediate cash relief measures include support on loan interest, social security provisions, extension to payment deadlines and early repayment of VAT by easing access to monthly repayments,” Senator Mac Sharry explained. “The French Government appears to have a much stronger commitment to supporting its farmers than the current Government here has. I am now calling on the Ministers Noonan and Coveney to closely examine these measures for possible operation in an Irish setting. Smaller farmers in the North West are still being left out in the cold. The Government needs a much greater focusses on supporting them and allowing them to grow their business. This needs to include enhanced supports to the rural economy as the recovery continues to be concentrated on the eastern seaboard.